are made near in the blood of Christ. The book of Ephesians is one of my favorite books in the Bible. In chapter 2, the Apostle Paul reminds us how we have been made alive in Christ. I love the fact that he speaks of our old life in the past tense, telling us that we are now alive in Christ. 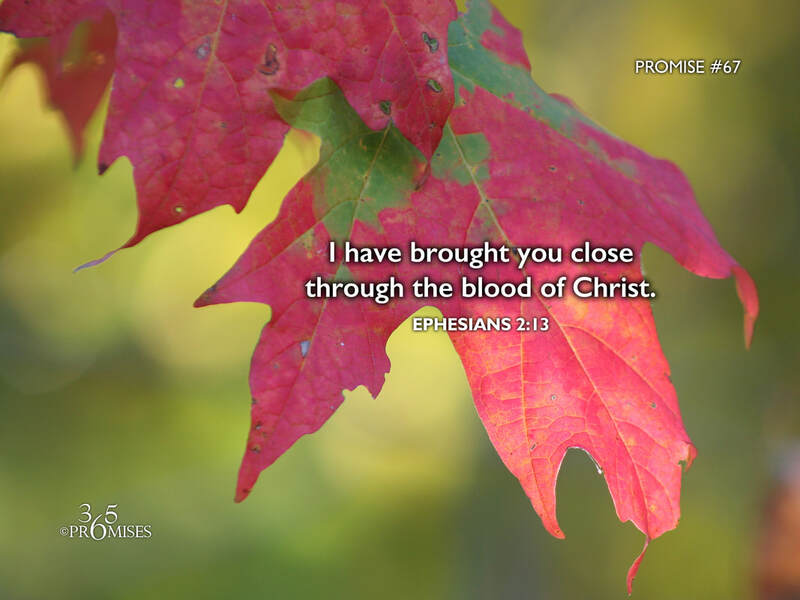 In today's promise found in Ephesians 2:13, we read that those who were once far away have now been brought close to God through the blood of Jesus. There is no separation between us and God any longer! What Jesus secured for each one of us on the cross is an intimacy with God that can never be taken away from us.